Permission-based import ensures that authorized users and groups have access to manage exams, orders, patients and documents. Display multiple worklists on a single screen, such as a subspecialty worklist plus a general radiology worklist. 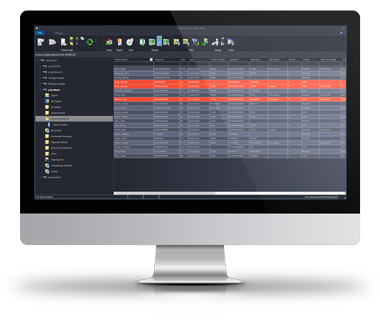 Directly launch the diagnostic viewer and reporting solutions. Image acquisition and reporting can be performed seamlessly across multiple sites. Residents can be on call for more than one site at the same time.